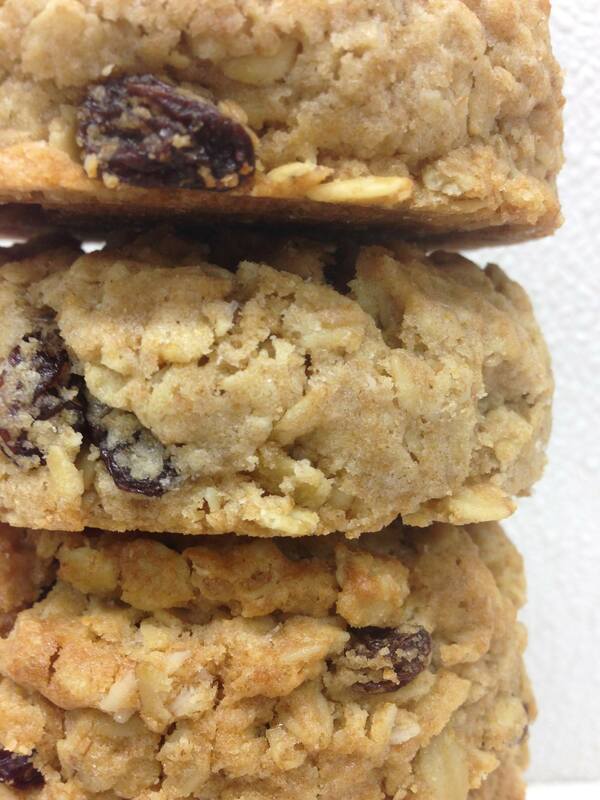 Salty Oats are handcrafted cookies with a subtly sweet and curiously salty taste. 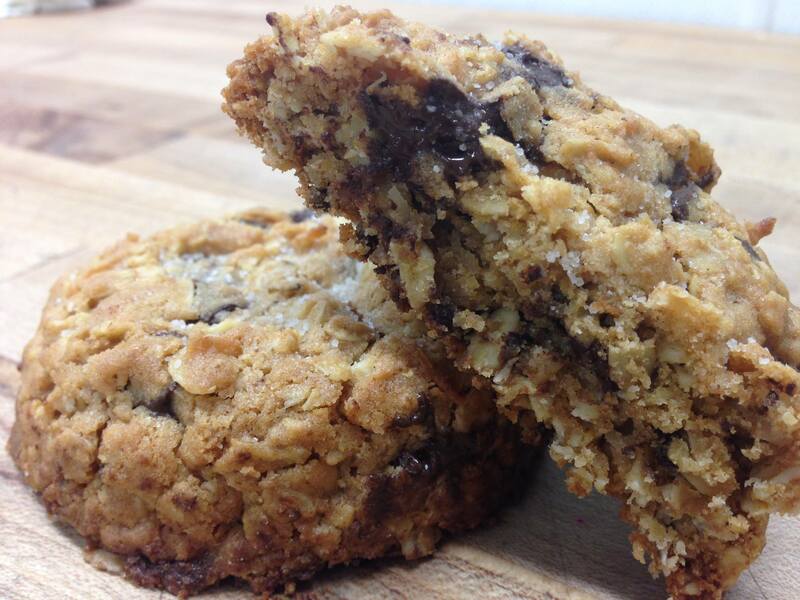 Weighing nearly 4 ounces each, Salty Oats are made by Kayak Cookies of Hyannis, Massachusetts. The Original Salty Oats – a hearty oat and raisin cookie – is sprinkled with salt and has just the right amount of sweetness. Made of organic oats, unbleached unbromated wheat flour, organic raisins, butter, cane sugar, organic eggs, vanilla, sea salt, baking powder and baking soda, the Original Salty Oat is everything an oatmeal cookie should be: slightly crunchy on the outside, chewy on the inside, and completely delicious. Kayak Cookies makes two other varieties of Salty Oats: Chunky Chocolate Pecan Salty Oats – a chunky oatmeal cookie bursting with pecan halves and Belgian bittersweet chocolate pieces; and Chocolate Salty Oats – a chocolate oat cookie made with French cocoa, chunks of bittersweet chocolate and a hint of coconut. 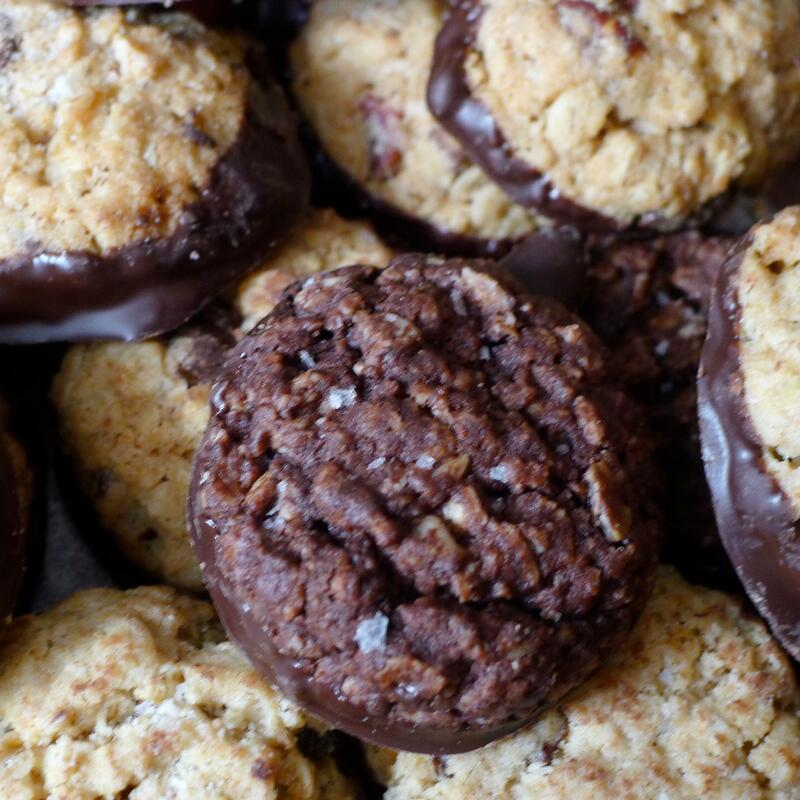 Both varieties are sprinkled with salt which enhances the flavor of the cookies just as a pinch of salt brings out the rich and satisfying taste of dark chocolate. Salty Oats can be purchased on-line at the company’s website: www.kayakcookies.com. A bag of six huge cookies is $15 plus shipping. Choose from Original, Chunky Chocolate Pecan, Chocolate or a mixed bag (which contains two of each variety). Kayak Cookies also offers a beautiful ribbon-tied gift box of “baby oats” which is the bite-sized version of all three Salty Oats flavors – plain or dipped in chocolate. Choose 6 or 18 cookies ($12-$26). For the ultimate Salty Oats treat or gift, sign up for the Salty Oats Cookie Club – a 3, 6, or 12-month subscription from $75 – $250, with USPS Priority shipping included. The cookies can also be purchased at Good Butter Bakery at 239 Main Street in Hyannis, Massachusetts (70 miles southeast of Boston on Cape Cod) and throughout retail grocery and specialty stores in the Massachusetts and northeast area (see the company website for a complete list of retail partners). For more information about Salty Oats, Kayak Cookies, and Good Butter Bakery, go to the company website: www.kayakcookies. com. To see the cookies being made at the Good Butter Bakery, click here. Kayak Cookies does for the oatmeal cookie what Levain Bakery does for the chocolate chip cookie.